Do you want more local driving and be a valued member of a delivery team? This may be the role for you. Working 38 hours per week you will enjoy a varied role driving locally as well as building relationships with our regular customers. Our drivers are the beating heart of our business and you will play a vital role in ensuring customers receive their deliveries on time and with a great service. Working on an “Any 5 from 7” contract, our shift patterns will include some weekend working. Making sure our customers are able to keep their shelves full with the products needed by their customers. You’ll be loading stock in to the vehicle at the Branch and unloading at the customer premises. You’ll also need to ensure the paperwork is completed accurately. 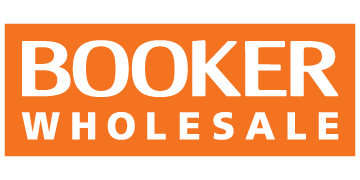 Booker is the UK's leading food & drink wholesaler. We are privileged to serve independent retailers, caterers and small businesses, from 196 locations across the country, and are committed to improving choice, price and service for them.